It’s well known that employee engagement is an important aspect of keeping productivity and profits up. Engaged workers consistently provide better customer service, make fewer mistakes than their less engaged colleagues, have a lower turnover rate, and speak highly of their employer outside of work. Employers know that offering competitive pay and benefits are essential to attracting and retaining quality employees, but often struggle to find additional creative ways to appeal to employees throughout the year that won’t put them over budget. Create a website to serve as an FAQ type resource regarding the different benefits. Employees should be able easily access this information, find out more about the benefits offered to them and get most of their questions answered. Encourage employees to share their experiences by asking questions about the benefits they’ve made use of and what they liked and didn't like. Use this information to inform other employees about different benefits programs as well as improve experiences with using benefits in the future. Reward employees who use their benefits, especially those geared towards health and wellness. Offer points for using certain benefits and have prizes for employees who rack up the most points. 2. Loosen up the dress code. 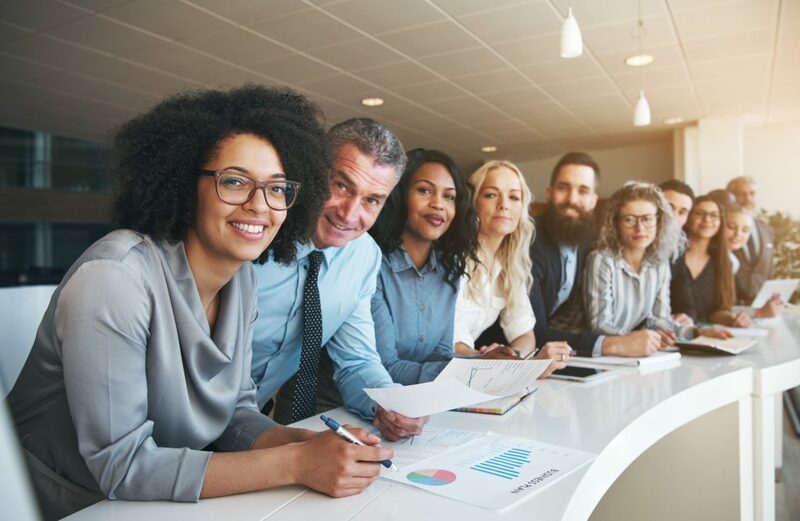 While it may not seem like it would make a big difference, a little bit of dress code leeway is a simple and fun way to boost morale with employees. Whether it’s one day each week, one week each month, or just on special occasions or holidays, breaking the monotony of the normal workplace dress code can help improve the mood of employees and give them something enjoyable to look forward to. 3. Encourage outside-of-work activities. Getting together voluntarily outside of work is a great way for employees to foster friendships with each other which in turns makes them happy to come to work each day. Sponsor a non-mandated employee softball team or give employees space to gather for an after-work book club, or host a barbeque for employees to attend on a weekend, if they’d like to. It’s a small investment to make that can have a big positive impact on employee engagement and company culture. 4. Give good feedback and give it often. Positive feedback doesn’t have to be in the form of a one-on-one meeting or a yearly performance review. It can be as simple as stopping an employee to say “You did a really great job on this project last week. Thank you for your hard work.” Employers or supervisors should try to reach each employee at least once a week and give them some quick positive feedback. Making employees feel appreciated is completely free, but can have a huge effect on their overall morale. 5. Start some friendly competition. Who doesn’t love a little competition? Workplace contests are entertaining and fun, and don’t have to cost the employer a lot of money. Prizes can be simple, like gift cards, tickets to a local event or performance, a free lunch, or even just a “leave work early today” pass. Competitions can be productivity related, but are more enjoyable for employees when they don’t relate to work at all. Things like hosting weekly trivia questions, guessing jar contests, or gift basket raffles can help improve engagement without costing a lot of money. 6. Give employees more responsibility. This can be a little trickier to execute, but when done successfully can make a huge difference in engaging and retaining employees. Giving employees a larger degree of autonomy helps them feel more connected to their work, making them more inclined to want to do a better job at it. This doesn’t mean making the workplace a free-for-all where employees can do whatever they want, but rather reducing the micro-management and allowing employees to have more choice over what projects or tasks they work on. 7. Challenge employees more. If employees are consistently meeting or exceeding their goals, you can do more than just celebrate their achievements, you can challenge them to grow their skills even more. If there’s room in the organization for growth, give employees the opportunity to take on additional responsibilities and tasks that will put them on the path to advancement. Employees often become disengaged when they are stuck in their position and not given a chance to prove themselves capable of growing within the organization. Even with a small budget, employers can use these ideas to help engage employees and make them happy to come to work every day, reducing the likelihood of turnover and ultimately saving them even more money on turnover costs. A little effort goes a long way in keeping your employees happy, engaged, and productive.